60% of home based businesses are uninsured. Nearly half of them incorrectly believe they are insured. 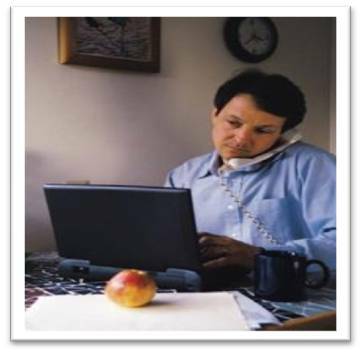 A survey commissioned by the Independent Agents and Brokers of America reported that one in 10 US households operate some type of homebased business. The majority of these did not have insurance coverage. This is often because the individual didn’t realize that this exposure isn’t covered by their homeowners coverage. This discusses coverage provided by form HO003 5/11 and HO3232 6/12). A standard homeowners policy has exclusions that limit or remove coverage for business exposures. Your homeowners policy does not cover liability arising out of or in connection with business activities. This is true if you own the business or simply work from home for another company. Property used primarily for business is limited to $2,500 on premises and $500 off premises. A standard homeowners poly does not cover unattached structures in which any business is conducted. What should you do? This depends on your type of business. The homeowners policy can be endorsed to plug some of these gaps for certain eligible businesses. Other businesses ineligible for inclusion by endorsement will need a separate policy. This is often cheaper than you would think. If you have an exposure, give us a call and we can help you determine the best path. It is important to remember that a homeowners policy can be endorsed to fix some of the holes for your business exposure, but this policy was never designed to provide comprehensive protection for a business. If you want the best coverage, you need to buy a separate policy.